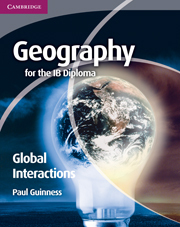 This attractive, full-colour coursebook covers the seven sections of the Higher Level Extension syllabus in Geography for the International Baccalaureate (IB) Diploma. 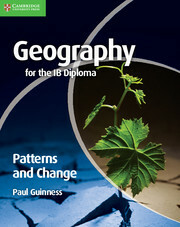 It is written by a highly experienced author and former head of Geography at a major IB school in the UK. The coursebook explores the theme of Global Interactions and contains: key questions outlining the main issues for each topic; case studies selected from every continent; activities and geographical skills guidance; discussion points and research ideas; integrated Theory of Knowledge links; examination-style questions; definitions of key terms and useful web links. Theory of Knowledge links integrated into the topics. Examination-style questions on each sub-topic in the syllabus.